Part of the responsibility of being a cat parent means being aware of the dangers your kitty may face from wild animals; these dangers are not limited to wilderness areas, but can be found in your own backyard. Here is a rundown of 10 common animal attackers, along with advice on what you can do to protect your pet from them. 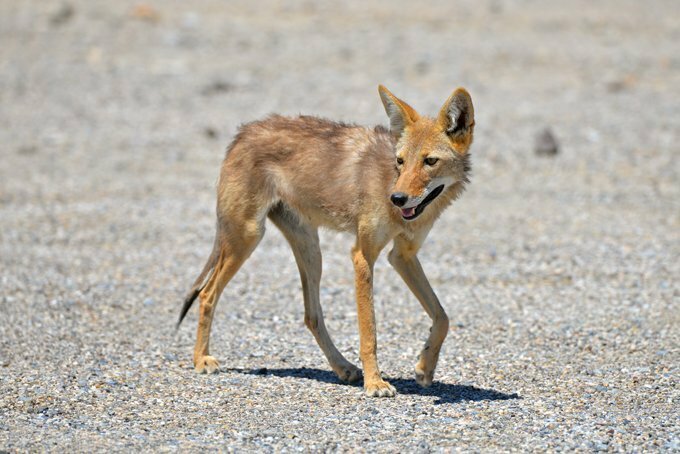 Contrary to what many suburbanites believe, Coyotes are found all over North America and make their homes in parks, river corridors, and even cemeteries. So, if you live in coyote country, you should think twice about letting your cat or small dog out overnight. Do not leave pet food out overnight, as this attracts coyotes, and be sure to secure your household garbage, as these predators and others are resourceful scavengers. Snakes pose another lurking danger to your pet. 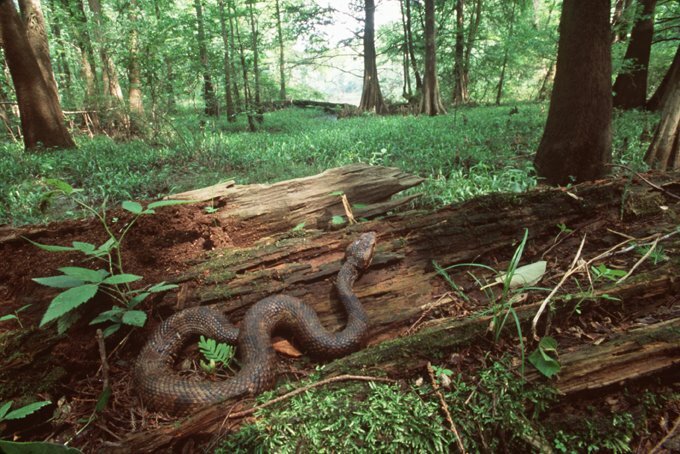 ABC News reports most snakebites in the United States come from the pit vipers, a family of venomous snakes that includes water moccasins and copperheads, found in abundance all over North America. Attacks by these reptiles most often occur when a dog is moving about through grass and sniffing through burrows. Though it is difficult to prevent snakebite, they are usually not fatal. If your pet is bitten by a snake, immobilize it, and bring it to your veterinarian immediately. Also known as mountain lions or pumas, cougars are found in the American far west and southwest. (In the eastern United States, the only confirmed population is in rural Florida, where the cougar is known as the Florida Panther.) Once hunted almost to extinction, cougars have increased in numbers in recent years and sightings are no longer rare. These big cats pose a serious danger for outdoor pets if you live in regions where they are found. Though cougars are more interested in hunting livestock, they will attack a pet if an opportunity arises. 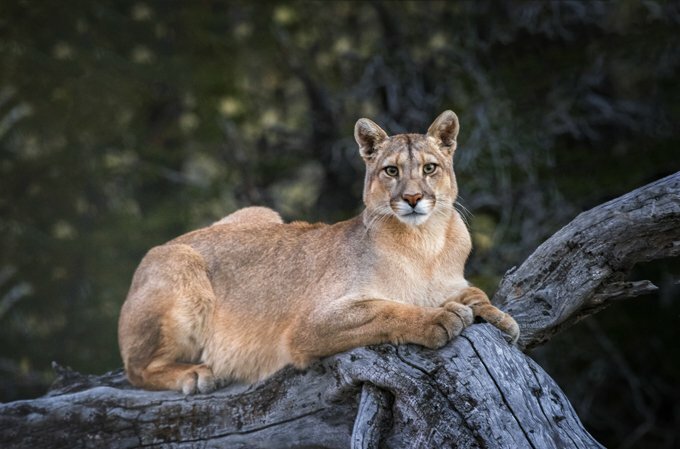 While rare, attacks on humans have been reported as well, so if you see a cougar on your property, immediately notify animal control or police. 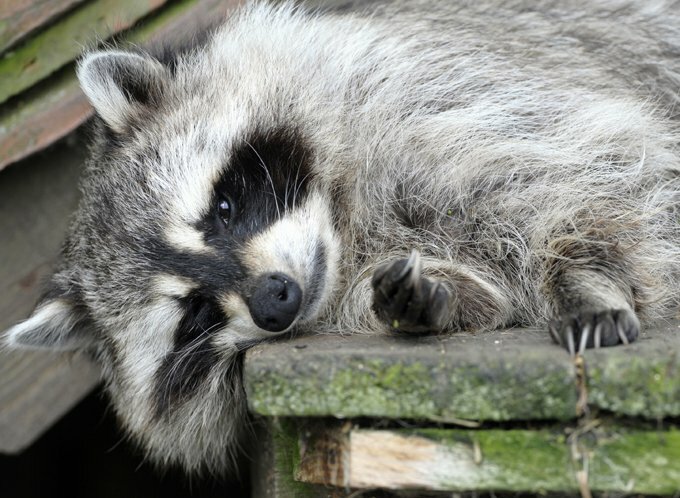 Raccoons pose a danger to your pet, even in urban environments. “It’s more likely that the raccoon will be attacked [and retaliate], than the other way around,” Rozanski says. Their primary danger to your pets is diseases that they carry, specifically rabies. Raccoons are attracted to open garbage cans or any food that is left out for pets. You can discourage them from remaining near your property by securing your trash and not feeding your pets outside. Though innocent looking, the damage that a squirrel can inflict may require a trip to the vet. 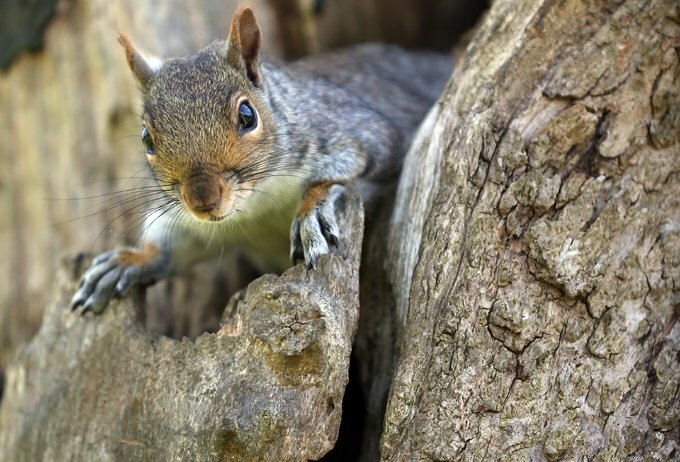 Most squirrel attacks arise when a cat attempts to catch it, and while your pet will likely win the battle, the squirrel does have sharp teeth and claws that can damage soft tissue. The best way to prevent injury from a squirrel is to be mindful of your animal at all times when outdoors. Indigenous to the southwestern United States, scorpions pose a threat to all pets — and pet owners — who live there. Cats should be watched closely and if your cat appears to be tracking something to catch, investigate and make sure he isn’t chasing a scorpion. Scorpion venom can be deadly, so if you live in scorpion country and your pet is limping or appears sick after spending time outdoors, it should be brought to the vet for immediate medical attention. 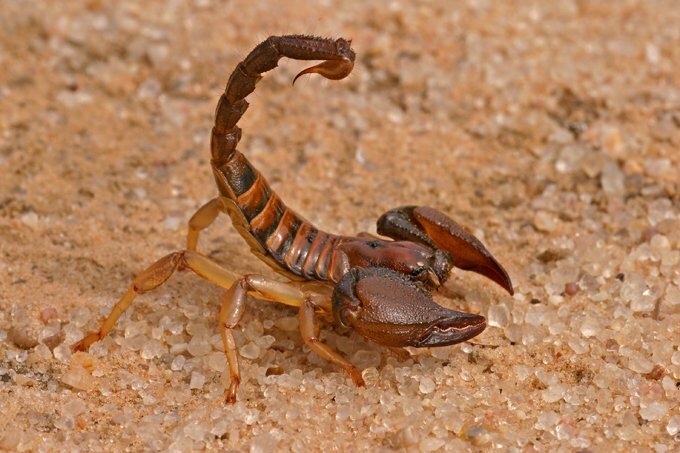 Do not leave footwear or clothing out during the daytime, as scorpions like to take shelter in and under these items. 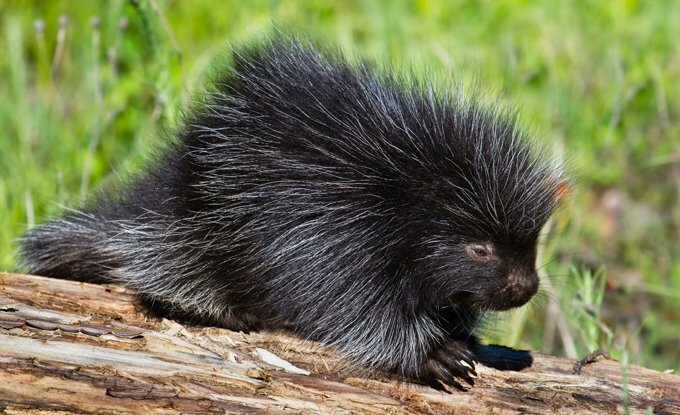 The porcupine is found all over the United States, and these quill-bearing rodents are often in search of a source of salt such as certain plywoods or sweaty clothing. “If you’re going to let your dog run free in the woods, that’s fine — it’s fun; just be aware they can get injured,” Rozanski says. The porcupine’s barbed, loose quills can easily embed themselves into your pet — especially curious dogs and cats — requiring unpleasant hours at the vet to be removed. If your cat encounters a skunk in the wild and gets “skunked,” it will be treated to a smell as unpleasant as a punch in the stomach. Skunks also have very powerful front claws that they use to burrow, which can very quickly be turned against your cat if the skunk feels threatened. 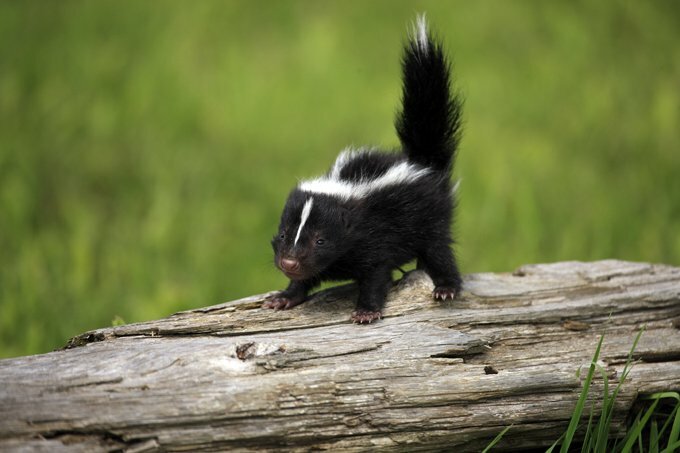 Skunks can also be carriers of rabies, so if you smell something painfully pungent while out with your cat, be aware that a skunk might be lurking. These large rodents generally attack only if they perceive a threat from your pet, but will do so with powerful claws and front teeth. 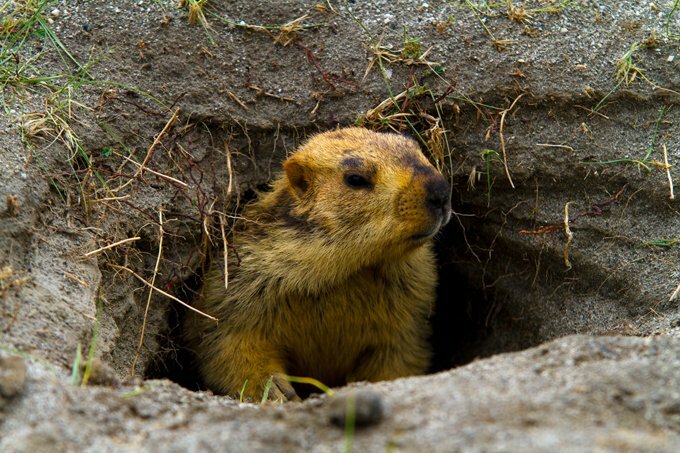 According to National Geographic, groundhogs are native to all of North America and are most frequently encountered where a field meets a forest, so they can commonly be seen in newer housing developments. In most cases, an injury to your cat is the result of it getting too close for comfort to the groundhog, so this is another case in which keeping watch over your pet is important. Wild rats are everywhere. They’re hardy, intelligent, aggressive, and comfortably at home in rural and urban environments. Similar to raccoons, their biggest threat from rats is the diseases they might carry. 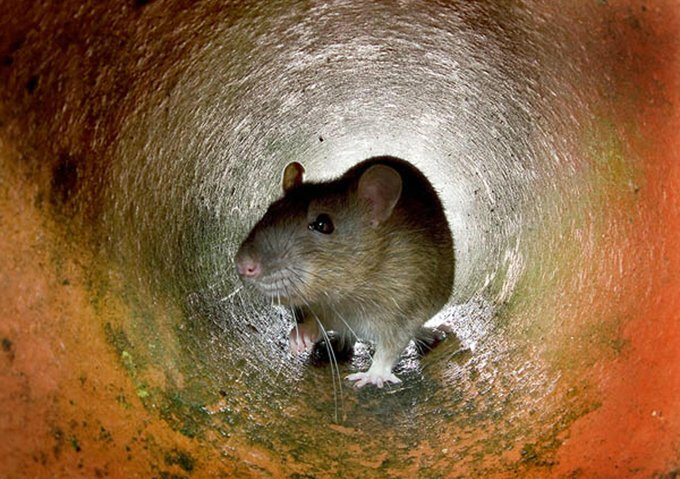 Keeping your garbage contained is the best way to prevent encounters with rats. Though your cat will probably be the winner in any encounter with a rat, check and make sure that they weren’t injured during the scuffle. An ounce of prevention: The best policy when it comes to protecting your cat from the dangers of wildlife is to be mindful of your pet at all times. Attacks from wild animals, large and small, can occur anywhere from inside your house to a state park. If you’re in a high-risk or questionable area, don’t let your cat roam and always be sure to have an emergency vet’s number handy in case of an attack.